As more and more Enterprises are joining the IoT bandwagon with new devices, services and ways to devise IoT solutions, Microsoft promises to be a game changer with its Azure IoT Suite. 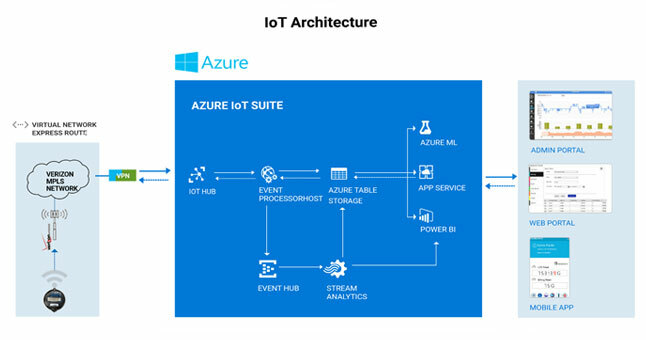 The Azure IoT suite makes it simpler for enterprises to get started with IoT implementations through pre-configured solutions in order to derive business value easily. It brings together a bundle of services such as the IoT Hub, Event Hub, Machine Learning, Stream Analytics, Notifications Hubs, Power BI, Web apps, Logic apps to form pre-configured solutions. It also enables quick interconnection of assets and supports a wide variety of operating systems & devices. It facilitates analysis and visualization of huge quantities of data to support real-time and predictive analytics. Hence, the Azure IoT Suite helps in giving a quick start to end to end IoT implementation by orchestrating the required Azure services. A leading Utility giant implements Smart Metering IoT Solution built around Azure IoT suite to connect billions of smart meters for real-time visibility & tracking of water consumption. Utility teams and consumers can now remotely monitor 500,00 smart meters and derive insights from the meter data, to prevent over-consumption and leakage or wastage of water. The solution is helping them in optimizing water consumption and to successfully manage the supply and demand needs in order to conserve water. Let’s dive into the anatomy of the Utilities IoT solution devised using the Azure IoT suite. The IoT Hub is the key component of any IoT solution. It primarily serves as a cloud gateway that connects all the smart meters with the Cloud and establishes communication between them. It can scale to connect millions of meters and can process huge volumes of data. It supports multiple protocols such as HTTP, AMPQ, MQTT to enable control and command capabilities. It is also responsible for per-device authentication, thus playing a major role in security aspects. Event Hub handles millions of events every second to stream them into various applications. Variable load profiles like connected cars, mobile apps, application performance counters generate telemetry data every second. Event Hub consumes these events to accommodate numerous load profiles and process massive amounts of data. For instance, in this smart metering solution, the Event Hub triggers the meter data to Event processor host for real-time visibility. This is a real-time analytics service, which can help in the detection of anomalies and retrieval of archived data from smart meters. It allows to write stream processing logic in a language similar to SQL from the data derived from the connected devices. It then forwards the extracted results to Event Hub, Power BI and Table storage services. Table Storage is a different storage services that Azure offers. In a smart metering solution, this easy & cost-effective service stores the data that IoT devices send to the cloud. It stores large meter data and supports flexible data format to derive insights. It follows a semi-structured model to easily combine various device types that have differing data schemes. Azure Machine Learning, also a part of the Cortana Intelligence Suite, enables transformation of collected meter data into intelligence. It offers limitless scalability, availability and unmatched security. In the solution, it is used to generate powerful insights for real-time and predictive analytics. It helps in fixing resilient & persistent issues and making reliable predictions, which can help the Utility operations team and the consumers to become aware of utility usage. Web Apps & Mobile Apps, part of App Service, helps in hosting the web application, which is used for configuring & sending commands to devices, inspecting the data dashboard, creating or updating business logic and perform several events-driven functions. In this Utility IoT solution, Web portals developed for Utility and consumers help in managing or tracking the utility supply & demand and consumers’ water consumption pattern. With this Smart Metering IoT solution built around Azure IoT suite, the Utility company was able to connect 500,000 smart meters, handle large volumes of data, drive real-time & predictive analytics to improve efficiency of water usage. Similarly, every enterprise can take advantage of the Azure IoT suite to quickly deploy solutions to address the common IoT scenarios. With growing business needs, the implementation may advance complexly, however, Azure IoT suite makes it simpler to reconfigure, modify, and build as required. 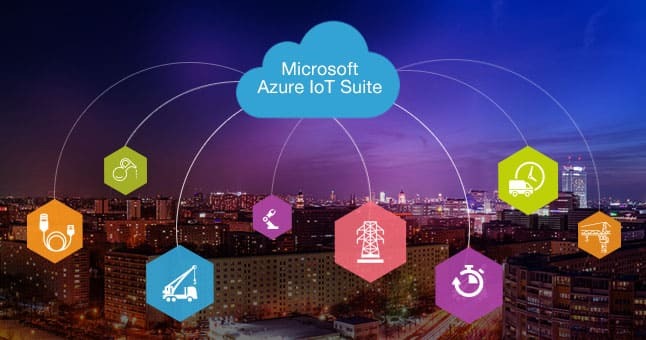 In addition,Azure consultants can assist them in leveraging the power of Azure IoT suite to deploy IoT solutions, thus enabling enterprises to realize better productivity gains.